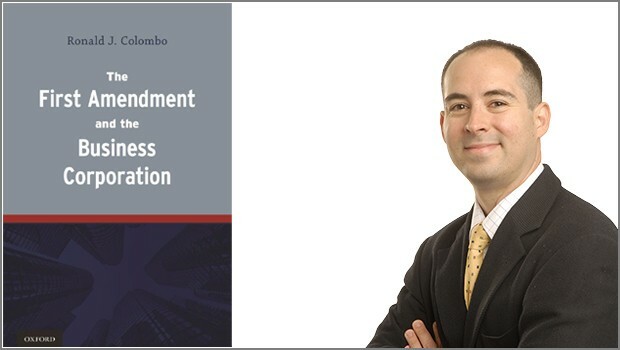 Ronald J. Colombo, associate dean for academic affairs and professor of law, has published his first book, The First Amendment and the Business Corporation (Oxford University Press 2014). The book examines tough constitutional issues, such as corporate free speech rights in the U.S. Supreme Court Citizens United decision, as well as corporate rights to free exercise, which the U.S. Supreme Court considered in Hobby Lobby this past term. The book will be officially released on September 17, 2014. The First Amendment and the Business Corporation explores the means by which the debate over the First Amendment rights of business corporations can be resolved. 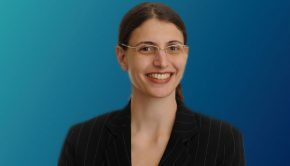 By recognizing that corporations possess constitutionally relevant differences, we discover a principled basis by which to afford some corporations the rights and protections of the First Amendment but not others. This is critically important, because a “one-size-fits-all” approach to corporate constitutional rights seriously threatens either democratic government or individual liberty. Recognizing rights where they should not be recognized unnecessarily augments the already considerable power and influence that corporations have in our society. However, denying rights where they are due undermines the liberty of human beings to create, patronize, work for, and invest in companies that share their most cherished values and beliefs.